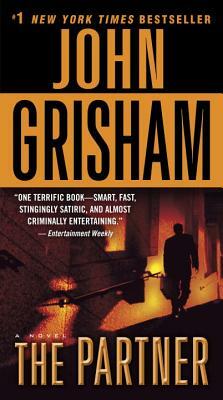 If you like courtroom drama, mystery, suspense and a surprise ending Grisham's "The Partner" has it all. I had read this novel before, but it still seemed fresh and new. Grisham draws you into the story and you find yourself cheering for the protagonist no matter how despicable he might be. In this case I found myself wanting him to keep the money because the real owners seemed more like villans than the thief. I just decided to read this book one day because my mom told me to. I didn't actually think this book would be any good. But it was! This is a great book. I normally like fantasy, and law thriller just screams boreing, but WOW! I loved this book. Patrick Lanigan, a partner in a prestigious law firm in Biloxi, is now thought to be Danilo Silva, who has lived for the past four years in the back country of Brazil--his latest residence in Ponta Porta. Patrick, if he is alive, is wanted for stealing 90 million dollars from his firm and disappearing. But how can that be. Shortly before the money disappeared, Patrick was killed in a one car crash when his car smashed into a tree on the side of the road, flipped down a gully and burned everything to a crisp. Is he alive or dead? Did he steal the money or not? There are so many twists and turns in this plot that it is hard to believe that one person could think of all the devious things that happen. What a cunning mind this author has. Read the book--enjoy it, and see if you don't agree with me that Grisham is a master of trickery, deceit, and above all, how the law works. Ever since reading his first novel I have been in love with the different situations and storylines involved in John Grisham's novels. But by far this is one of my favorites, the locals, and characters are some of the most personable in recient memory, This novel has everything mystery, intrigue, and money, the fight to get it and keep it are common themes in Grisham's works. By far my favorite of all of his novels.